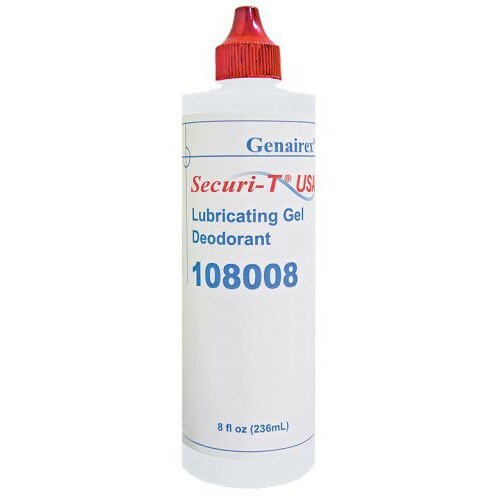 The Securi-T Lubricating Gel Deodorant by Genairex is a gel made for cleaning out ostomy supplies such as drainage bags. This gel will not only help lubricate but can eliminate any odor left within the contents of the bag. Masking odors will be a thing of the past. While helping keep the ostomy bag clean and safe, the Lubricating Gel Deodorant uses a gel formula in order to make it easier to clean any ostomy supply. The 8 oz bottle assures you will have plenty on hand when needed.